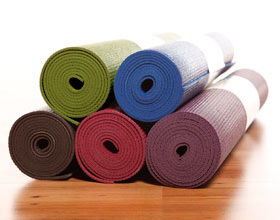 Please visit us at Yogaspace to purchase any of the following products. 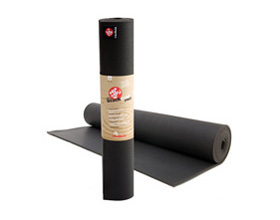 This classic waffle yoga mat is durable, made of PVC, and is latex free. It has a non-slip surface and is a full 6ft long. 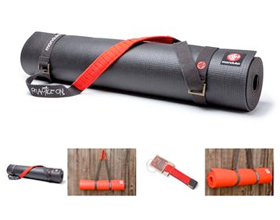 Perfect for any style of yoga, easy to carry and to clean. Available in raspberry, espresso, lime and eggplant. A Cylindrical Bolster is a must for chest opening poses in preparation for back bend. It can be used either perpendicular or parallel to your spine, or under your knees to lengthen your lower back. Bolster cushions are a great support for forward bends used in combination with other props such as blocks. Comes with removable cover. 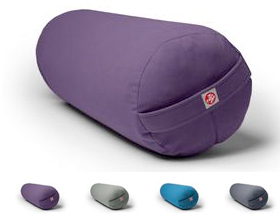 Choose this luxurious bolster as a beautiful addition to your home, your yoga space, or as a gift. A Cylindrical Bolster is a must for chest opening poses in preparation for back bend. It can be used either perpendicular or parallel to your spine, or under your knees to lengthen your lower back. Bolster cushions are a great support for forward bends used in combination with other props such as blocks. Comes with removable cover. These blocks are versatile and lightweight enough to take them along. Their slightly soft surface makes them comfortable to use, quiet in yoga class, and safe to use in inversions or any pose where they might fall. A set of two opens a whole world of possibilities for using a block on both sides to lift, balance and support your postures. 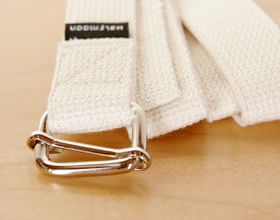 Made of 100% double layer cotton webbing with a nickel-plated sliding buckle, this is the original yoga strap. Made at Halfmoon. 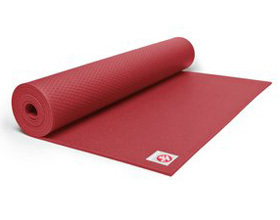 This mat has a non-slip surface and a denseness that provides unparalleled comfort and cushioning. Recommended for students with a regular or serious yoga practice. 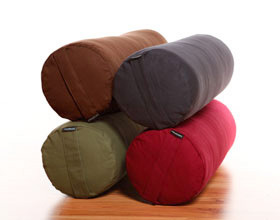 Perfect for those who need extra cushioning for their spine, knees, hips and elbows. 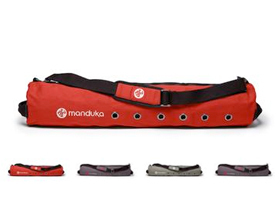 This version of the Manduka mat has all of the cushioning and support of the regular Manduka Mat but is lighter, making it easier to carry and travel with. This cotton canvas yoga mat bag provides two spacious zippered compartments to store your yoga practice necessities comfortably & conveniently. Colours vary month to month, please contact us for more details. 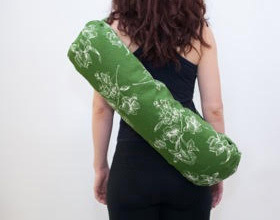 Samyoga Yoga Mat Bags are made large enough to fit your yoga mat and your other small essentials. Mat Bags are handmade from beautiful cotton fabrics. Features: – Lining in 100% Cotton – Two inside pockets, perfect for storing small items like yoga pass cards, spare hair elastics etc – Adjustable strap to fit the bag most comfortably to your body – Full length zipper closure for ease when storing and removing your mat from the bag. Explore a real sense of grounding by incorporating a restorative sandbag into your yoga practice. The weight feels wonderful draped across the soles of the feet in Viparita Karani or anchored across the hips in Savasana. The possibilities are endless. 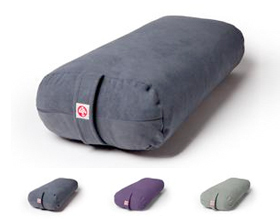 Samyoga Restorative Sandbags are made from 100% cotton twill, a very smooth and soft fabric that is also sturdy and durable. The sandbag contains an inner bag with double enforced seams to hold that heavy, heavy sand. The outer bag has a zipper opening and a 10” handle. Lavender Flaxseed Eye Pillows are handmade from super soft cotton, linen, silk or rayon in a range of rich colours and beautiful prints. The Eye Pillow Cover is removable and machine washable in cold water. The inner bag is made from recycled natural cotton and is filled with organic flaxseeds and dried lavender flowers. The weight of the Eye Pillow will soothe tired eyes and the scent of lavender has a naturally relaxing effect. 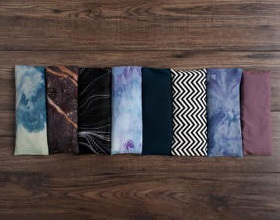 Use your Eye Pillow throughout your Restorative Yoga practice and in Savasana at the end of an invigorating yoga practice. 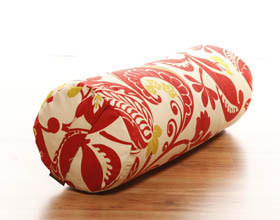 Take your Eye Pillow off the mat whenever you need a break to lay down, relax and restore. Joy-a-toes are a prop that can help you to develop healthy feet. They can help relax and rejuvenate tired, achy and swollen feet, realign the bones and soft tissue, stimulate circulation and increase flexibility and strength. Joy-a-toes are made from a comfortable gel and can be worn throughout the day and during your practice.